Distressed investors have long become resigned to too much liquidity in the European leveraged finance market providing get-out-of-jail-cards to many borrowers, and looming political risks not being priced in. Borrower consent themes, such as increasingly strident blacklists on trading, are an added irritant that could cause real issues for par lenders being able to exit problem credits and distressed investors trying to come into a situation, which could lead to far greater price drops when things go wrong, according to panellists at Debtwire’s Restructuring Day last week. Black/white lists are an “annoying trend” for the transferability of the debt, said Stephen Phillips from Orrick. Given that many distressed funds are also frequently private equity players, it can become difficult to draw the line on who should be viewed as good and who as bad. “Take a PE manager which has set up a credit fund, for example, they started as a traditional sponsor, but then they also have a credit fund. So are they good or bad?” said Phillips. “It’s ridiculous to divide funds into ‘good’ and ‘bad’ in this way,” he added. If a lender wants to sell, and there is a white list, the borrower is just creating an unhappy conversation with its lenders, cautioned one of the panellists Borrowers are better off taking the hit and letting the lenders sell out, the panellist noted. While sponsors push the envelope on the terms they can get from the market, they eventually come back to the banks and lenders for help with waivers down the road, another panellist noted. At that time, a negotiated waiver often comes with lifting trading restrictions on the debt. Sub-participation remains another way around the blocks. 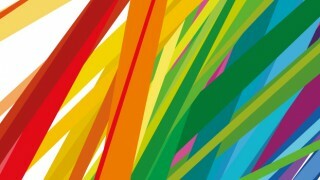 “Though, it’s not where you want to ideally be because you are not in control,” said Phillips. 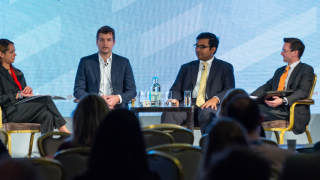 Panellists also highlighted that spreads have remained resilient in the face of political shocks, such as the Trump election or Brexit, but that a combination of adverse events can spark a rout. The reason markets nose-dived then was that three exogenous events had occurred simultaneously: Greece experienced a sovereign debt crisis, the ratings agencies downgraded the US federal debt, and riots occurred in London after police shot an unarmed man. “Everyone ran out of stocks, high yield and riskier assets,” said Pennings. And today, the absorption capacity in the broker-dealer system is far cry from what it was years ago. With Trump’s unpredictability, and the full impact of Brexit still on the horizon, it’s a wait and see game, according to Pennings. Ultimately the taps will eventually turn off and the music will stop when interest rates rise, panellists cautioned. 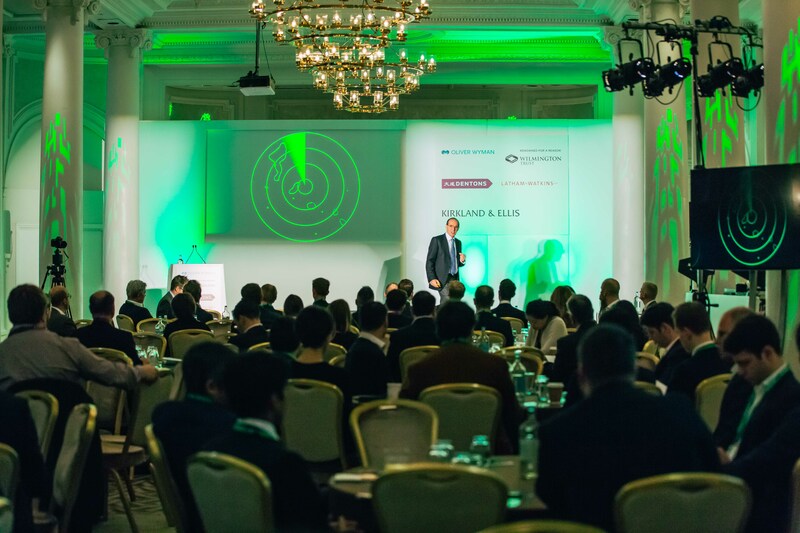 But in the meantime distressed debt funds sourcing opportunities should focus on corporates that have a complex credit story, not necessarily distressed, that cannot be financed with conventional financing, Carlo Bosco from Greenhill suggested. Furthermore, corporates that have recently refinanced/amend their facilities but haven’t fully addressed their issues. “Kicking the can down the road is an option that can work well for cyclical industries, but if there are unaddressed operational issues or a longer recovery time for the industry this is just avoidance of the issue and it will bite back,” said Bosco. 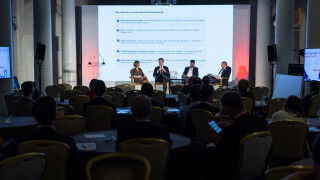 Panellists agreed that the best distressed opportunities come with operational as well as financial turnarounds, such as complex situations. In the UK, pensions, which are political in nature, have recently been a theme in distressed situations such as Carillion plc. The pension trustees become real stakeholders to be reckoned with during negotiations, panellists said. Another panellist noted that the calculation of pension deficits is significantly impacted by market yields which are at an all-time low. If interest rates go up in the future, pension liabilities, which are discounted back to present at the market yield, will decline. “This could create interesting equity upside for companies,” said that panellist. When it comes to situations like Carillion, Piotr Ossowicz of Ironshield Capital noted that the company and pension trustees could consider a pre-negotiated agreement regarding a schedule that would fix the amount of cash contributions over a period of time. This would have consequences for analysing the balance sheet and cash flows. Ossowicz added that issues experienced by Carillion may affect other names in the sector. “In general, there is pressure on government contractors as a result of British austerity, and that is now amplified by Brexit” he said, citing Interserve plc and Northgate Public Services as other examples of stressed/distressed situations. The panellists also highlighted that stressed financials still offer opportunities, such as liability management exercises, which are prominent and ongoing in Italy. 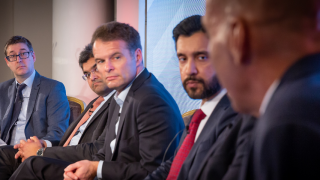 Emerging markets also offer better pricing as there is less liquidity and more complexity allowing for trading at discounts, the panellists added. The offshore and shipping sectors are still unresolved with a lot of debt to restructure as well, while in some oil & gas sits previous recent workouts did not take out enough debt, panellists suggested. Seadrill Limited, EnQuest plc, and Premier Oil are all restructuring or have restructured but they are not necessarily rightsizing. The rightsizing in recent offshore restructurings has, in large part, been influenced by the composition of creditors (i.e., banks, funds, etc.) in the capital structure, explained Stephan Chischportich of Evercore during a panel focused on opportunities in the offshore and shipping sectors. In Ocean Rig, which just completed its restructuring, the capital structure was largely controlled by hedge funds who sought to maximize recoveries regardless of the form of consideration provided as part of the deal. Whereas in the recently filed Seadrill, there are a lot of traditional bank lenders who typically prefer restructuring options that allow them to reinstate their full claims and continue to mark their debt at par. In round one of the Nordic offshore restructurings, “banks predominantly took the view that, while the market may not recover soon, it was too early to say that oil prices of USD 50 to USD 60 per barrel were the new normal,” said Chischportich. On that basis, they largely chose to amend and extend, in some cases asking for equitization of bonds and / or further shareholder capital infusions. “Now two years later, covenants are ticking back in, amortization payments are beginning, and the markets haven’t recovered, so one can do the math,” said Chischportich. Part of the difficulty with restructuring and sourcing distressed opportunities in both the offshore and shipping sectors is the bank-driven nature of many of the capital structures and the bank’s reluctance to sell loans at a discount attractive to hedge funds and to mark down loans. But with Basel III and Basel IV coming, it has become increasingly unattractive for banks to hold those portfolios, which opens up opportunities for alternative financers, according to Martin Hugger of Meerbaum Capital Solutions. Platforms like Meerbaum (which is backed by Oaktree) have emerged to offer alternative financing, which has resulted in a shift on pricing. Another part of the issue is that though there has not been a lack of interested buyers, the struggle has been allocating the right portfolio to the right buyer, said Frank Grell, a partner at Latham & Watkins. 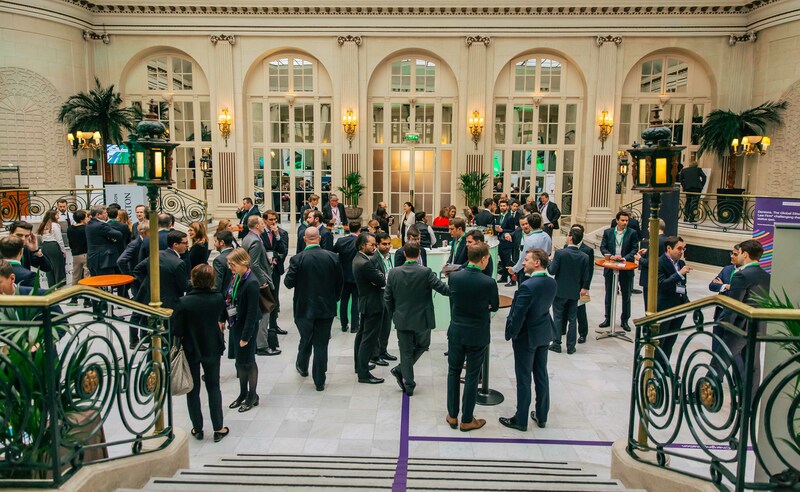 “We’ve been approached by PE and hedge funds saying ‘we like the NPLs and you like the performing loans, let’s get together to start bidding on portfolios’,” said another panellist. Because of the interest and amount of liquidity in the market, discounts, especially for the distressed side, are getting squeezed further and the difficulty in transactions comes down to acceptable pricing for the distressed investors. These teaming up processes work best on a scale of USD 100m to USD 500m size deals with two to three parties, added Hugger. “If you do it on a billion dollar transaction it gets messy,” he said. “When it gets in vogue, hedge funds have come in and bought for more than the steel value and banks are then happy to sell,” said Aage Figenschou, the CEO of Aurora Holdings. As round two approaches for the offshore sector, there should be more opportunity for hedge funds to buy into bank debt. Another constantly fertile ground for distressed situations in recent years has been retail. A combination of fierce competition, both in-store and online, as well as evolving customer expectations, rising costs, and anaemic sales growth have contributed to a climate in which many retailers decreasingly have a reason to exist. The already “brittle” consumer spending and confidence would suffer another blow from the now-more-likely increase in interest rates, he warned. Lutz Jaede, partner at management consulting firm Oliver Wyman, was more bullish on the prospects of the industry as a whole. Taking the example of Zara, he pointed out that growth in the sector can be achieved through more dynamic and customer-focused approaches. “What Zara does very well is that they are extremely quick in introducing new models,” he said. “Other stores sell what they make. Zara makes what sells.” The Spanish clothing and accessories retailer’s strength lies in using consumer feedback, which enables it to minimise excess stock and introduce less discounts, and therefore generate higher earnings. Another panellist identified Germany and the Netherlands as more promising jurisdictions in terms of recovery prospects compared to the UK, where he thought topline was likely to remain soft. The panellist added that restructuring situations in which there is room for improving operations as well as the balance sheet are more appealing. The huge swing online has left many retailers with oversized store portfolios, which they need to shrink, panellists warned, highlighting that struggling UK fashion retailer New Look needs only around 300 of its 600 stores. 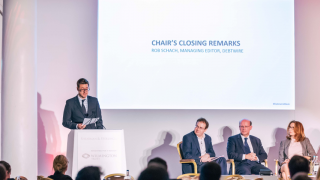 “As a result it can be easier to restructure retailers in an insolvency proceeding because of specific rights of lease termination , especially in Germany," noted Denton lawyer Andreas Ziegenhagen. Marion Halftermeyer isa restructuring reporter for Debtwire Europe, with a focus on the offshoreenergy and shipping sectors. She writes breaking news stories and analyticalarticles on borrowers in need of liquidity and financial solutions as well asdebtors undergoing in and out of court restructuring processes. Recent coverageincludes Seadrill Limited, Teekay Offshore Partners, and Danaos Corporation.Marion previously worked on Debtwire’s North America- Middle Market team whereshe covered the energy bust that led to over 150 energy companies goingbankrupt. Marion has a masters’ degree in journalism with a focus in business& economics reporting from Columbia University and a bachelor’s degree fromBoston College.